Portable digital condenser microphone with desktop stand and 3 preset modes for studio-quality home recording, podcasting via iOS, Mac, PC. The MOTIV MV5 Digital Condenser Microphone provides high-quality plug and play audio capture with any iOS, Mac, PC. The MV5 features three onboard preset modes to quickly dial in the optimal settings for virtually any content creation need. From vocal and instrument home studio recording to podcasting and videophone applications, the MV5 provides studio-quality sound every time. 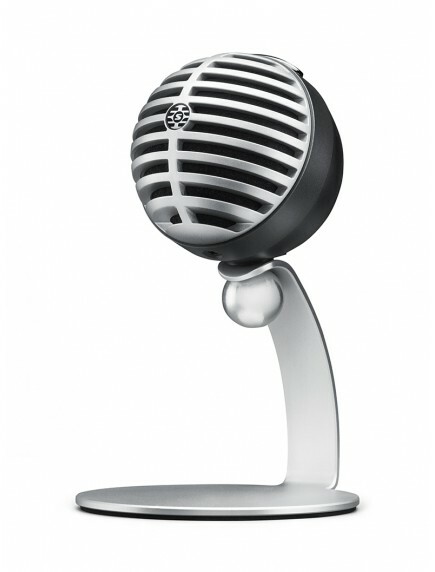 The MV5 also includes an integrated headphone output for real time monitoring. 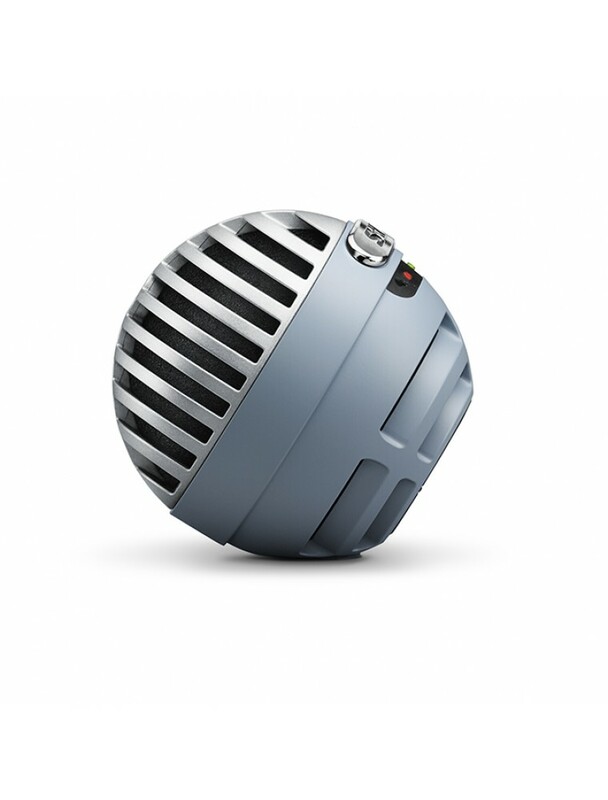 Tested to the same rigorous quality standards as all Shure products, a low-profile, retro-inspired industrial design is optimized for portable applications and comes in a choice of colors. Ships complete with a detachable desktop stand to easily integrate into any creative space.